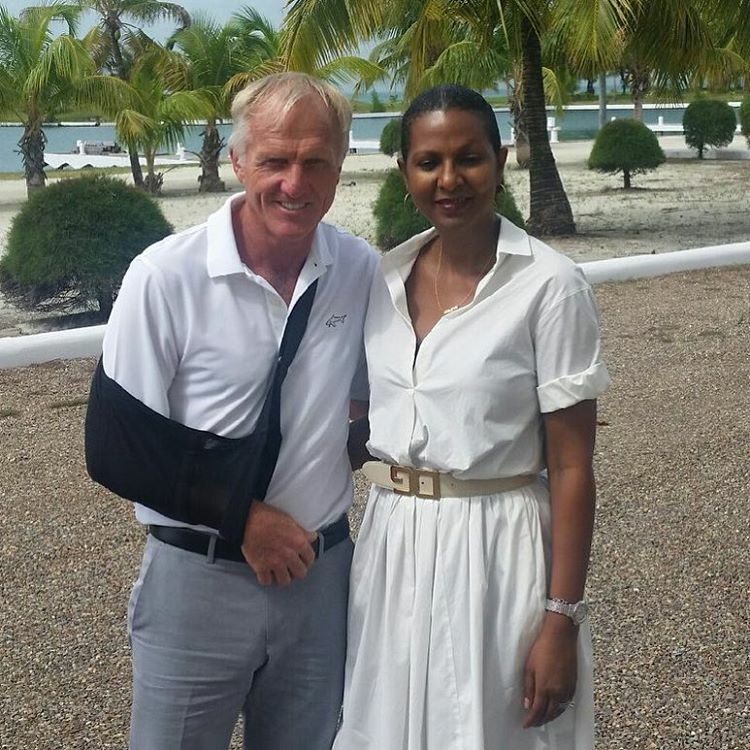 I know very little about golf but even I have heard of now retired professional Australian golfer, Greg Norman. He has won 85 major tournaments in the 1980s and 1990s and spent 331 week at Number One in his field. His nickname is the Great White Shark. He was born in Queensland, Australia – home to the largest barrier reef in the world (Belize just happens to have the second) and he now designs prestigious golf courses around the world. For a bit of ooohhhing and aaahhhing (even if you don’t play golf), take a look at the list of the TOP 15 Greg Norman Golf Courses. 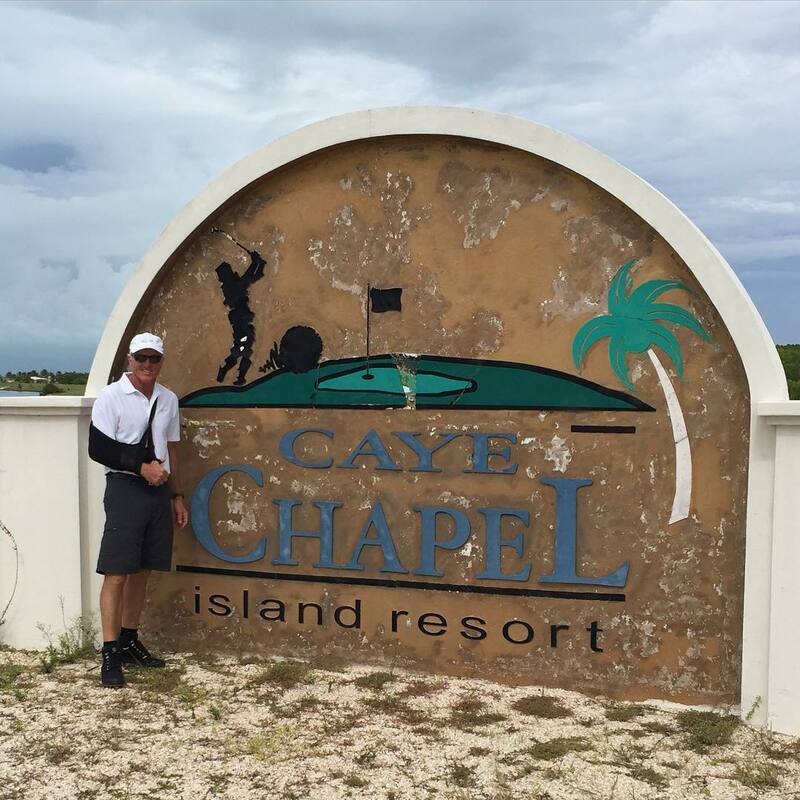 Well…just yesterday, according to the Channel 7 news article, he arrived on Caye Chapel! 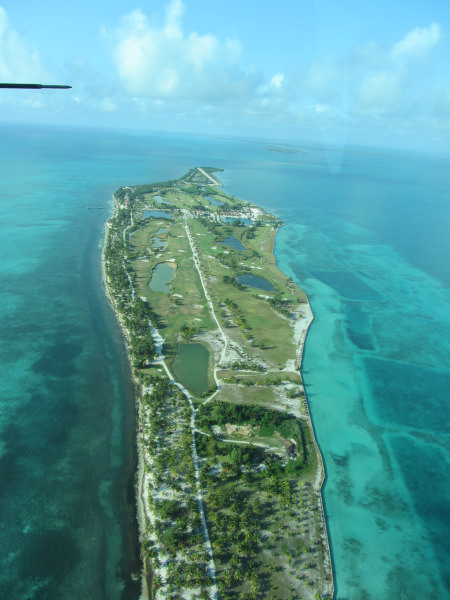 Just south of Caye Caulker with plans to design a 18 hole course for the Mexican developers who have recently purchased the island. 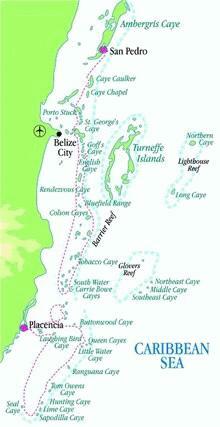 The smaller caye is less than 20 miles from San Pedro – about 35 minutes by water taxi or much shorter by plane. The golf course has been closed for about a year – and the resort for a few years as they looked for a buyer. It was finally purchased by a Mexican investment group at the end of 2014. Here is a picture that I took a few years ago flying over on Tropic Air. He met with Ministers, Lord Ashcroft’s son and Mrs Barrow, our Prime Minister’s wife. AND A TON OF MONEY. But still…what a major MAJOR draw for lovers of golf. There are estimated to be about 25 million players in the US alone. Check his Instagram page for his pictures (those above) on Caye Caulker. 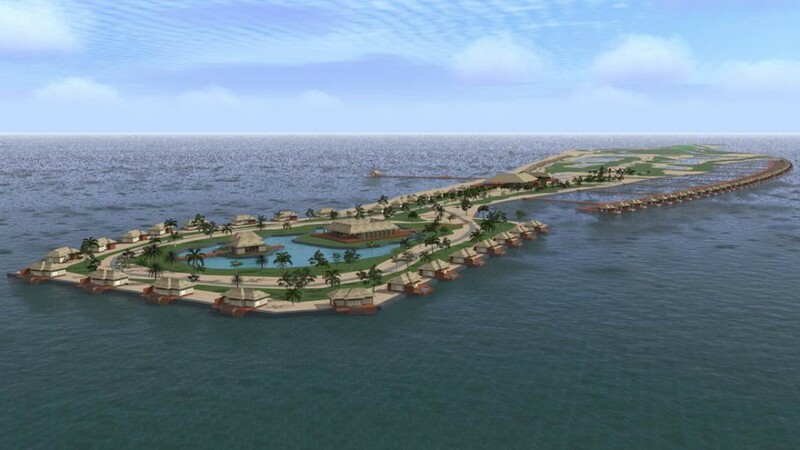 And see this San Pedro Sun article for the announced plans in December 2014 for the island resort. I moved to San Pedro in 2013 and was fortunate to be able to golf here with some friends for a little over a year. Unfortunately as a local golfer, it will now be beyond my financial capability to ever golf here again.